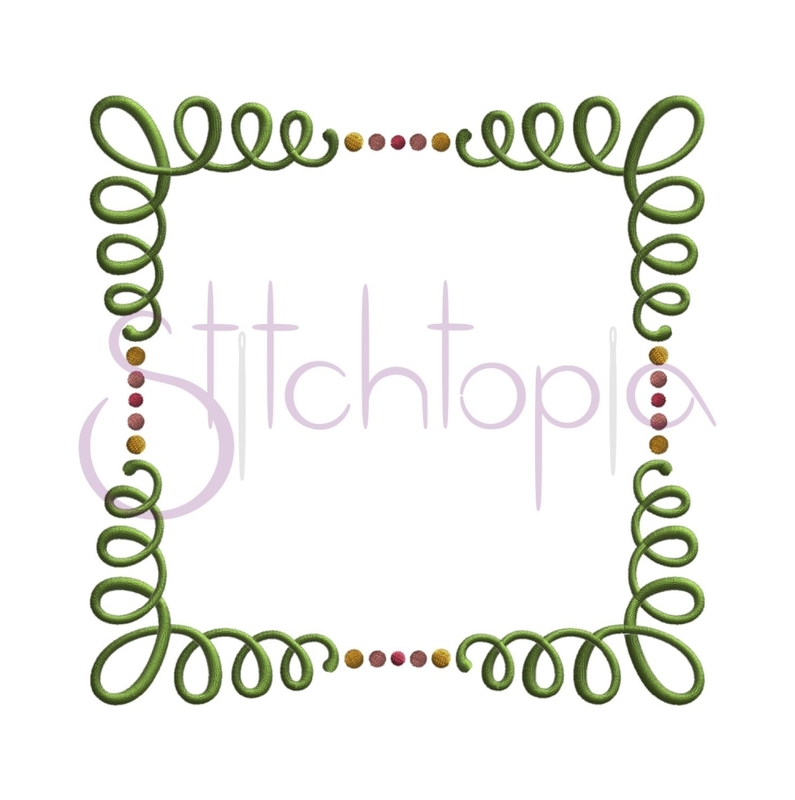 Grace Embroidery Frame 2 - 7 Sizes! This is such beautiful frame! Designed specifically to pair with the Grace Monogram Sets, but works with any font! Pictured with Grace 5 Monogram Set - sold separately. Great for pillows, wedding and shower gifts and so much more! Earn 2 points at checkout OR buy this item for 35 points. Funky Wave Applique Frame - 7 Sizes! 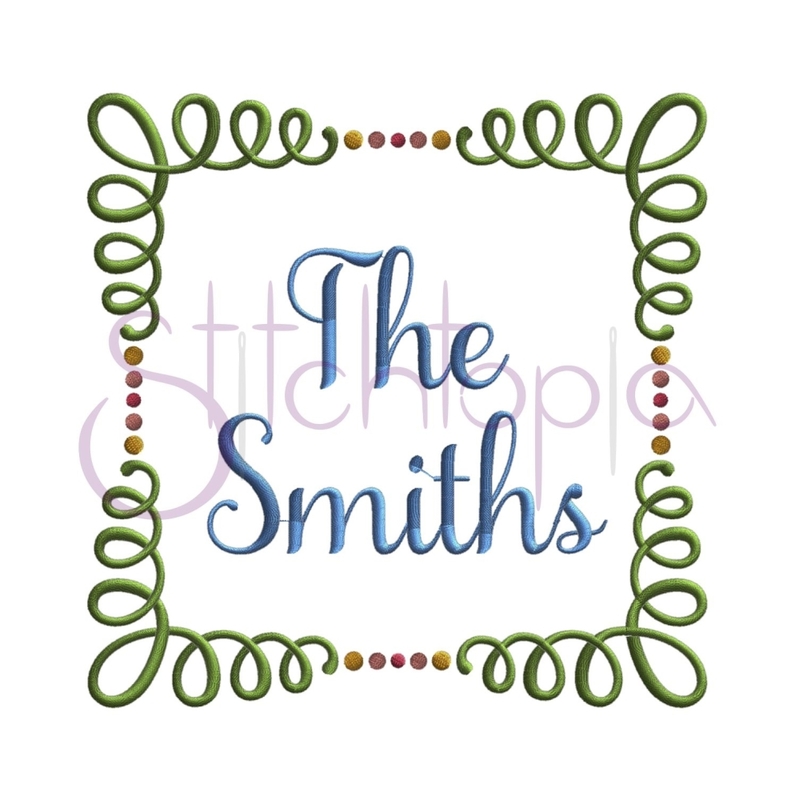 Grace 5 Embroidery Font, Small - 6 Sizes! Finish Size 3.86" x 3.91"
Finish Size 4.96" x 5"
Finish Size 5.94" x 6.02"
Finish Size 6.93" x 7.01"
Finish Size 7.95" x 7.99"
Finish Size 8.94" x 9.02"
Finish Size 9.92" x 10"